Today's review is from New Monic Books, Inc. I was given the opportunity to review the Vocabulary Cartoon book. The book is the elementary edition and is geared towards 3rd-6th graders. 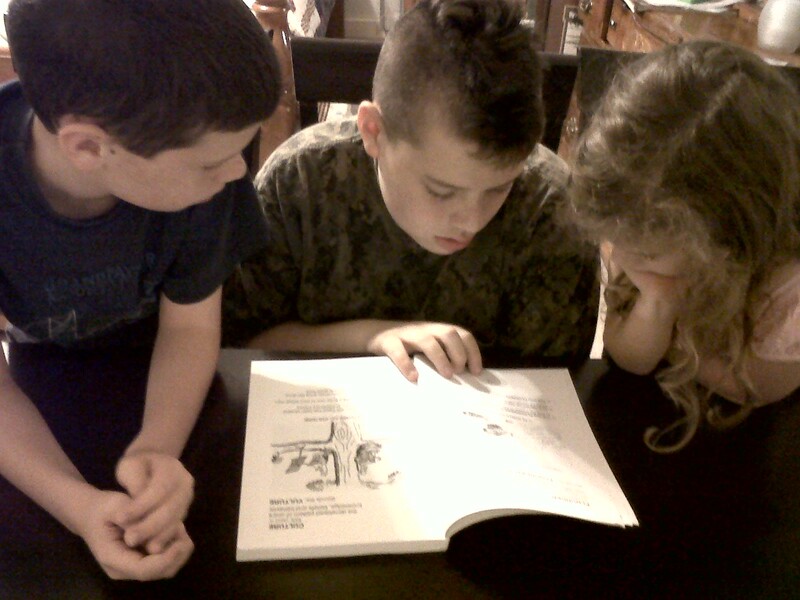 I used this book with all of my children (ages 7, 9, and 12) and they absolutely LOVED it! It is an excellent book for teaching vocabulary words. 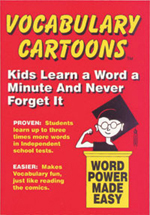 There are over 210 vocabulary words in the book and review quizzes after each 10. For a complete word list, you can visit here. 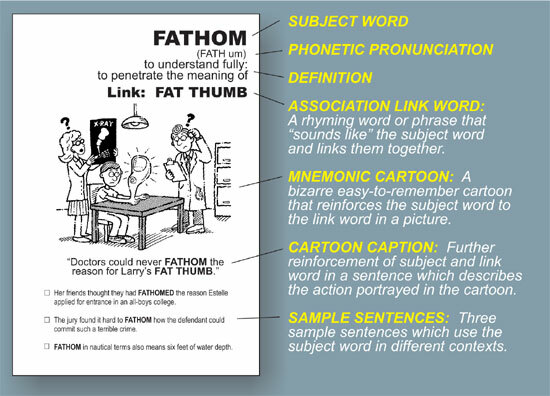 The approach they use is combining rhyming mnemonics and visual mnemonics to guide your student into learning new vocabulary words all while having a blast! The cartoons are quite hilarious and each one is actually a learning tool to boot! That is my all time favorite way of learning anything! 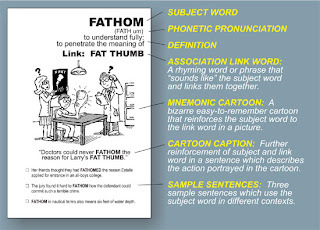 What is a mnemonic? It is just a fancy word which simply means "assisting the memory." Here is a sample so you can see the concept in action. To view other sample pages from the book you can visit here. The price of this book is a very affordable $12.95. They also offer other books for older children as well. 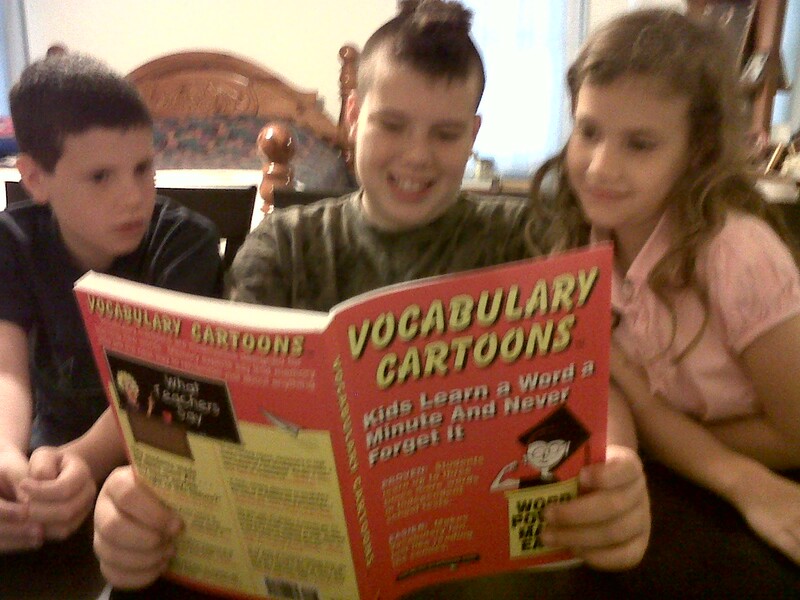 You may purchase Vocabulary Cartoons online at New Monic Books, Inc, by phone at 1-800-741-1295, or by fax at 1-941-575-6436. Our family would highly recommend this book to you. We are having a jocular time with Vocabulary Cartoons! Hee hee...had to use that one! To find out what my crewmates had to say go here. **Disclaimer: I was given a free copy of this book to review. The views expressed here are my true and honest opinions. I received no other compensation for this review. This is such a fun way to learn vocabulary! We have the SAT book, but the elementary version looks great too.